Paul Merson is backing Pierre-Emerick Aubameyang to help to fire Arsenal to victory over Manchester City in the League Cup final on Sunday afternoon. The Gabon international has been getting used to life in London after completing his big-money transfer to The Emirates from Borussia Dortmund in the January window. 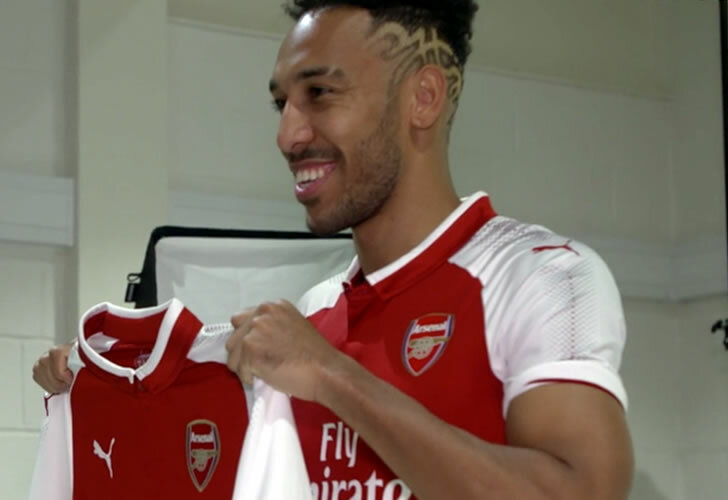 Aubameyang scored his first goal for Arsenal in the 5-1 victory over Everton in the Premier League in north London earlier this month and he will be hoping to help the Gunners win a trophy this time around. He won’t be able to link up with Henrikh Mkhitaryan because the former Manchester United playmaker is cup-tied, but Merson believes that the 28-year-old is poised to be the Gunners’ key man against the Citizens. Speaking to the Daily Star, Merson said: “The key [for Arsenal] is Aubameyang. “When Arsenal lost to Tottenham, he had no space to run into because Spurs defended quite deep. Arsenal head into the game after having booked their place in the last 16 of the Europa League with an aggregate victory over Ostersunds. The north London side will take on AC Milan in the next round of Europe’s second tier club competition. The Gunners are currently in sixth place in the Premier League table as they bid to try and break back into the top four this season.